BACK ON THE MARKET! This two bedroom one bathroom home has been completely renovated including new flooring, kitchen, bathroom, exterior paint and landscaping. The floors have been redone with cherry tone laminate flooring. The kitchen has been completely renovated including counters, sink and appliances. This is a perfect starter home whether that be moving to FL or getting on the property ladder. 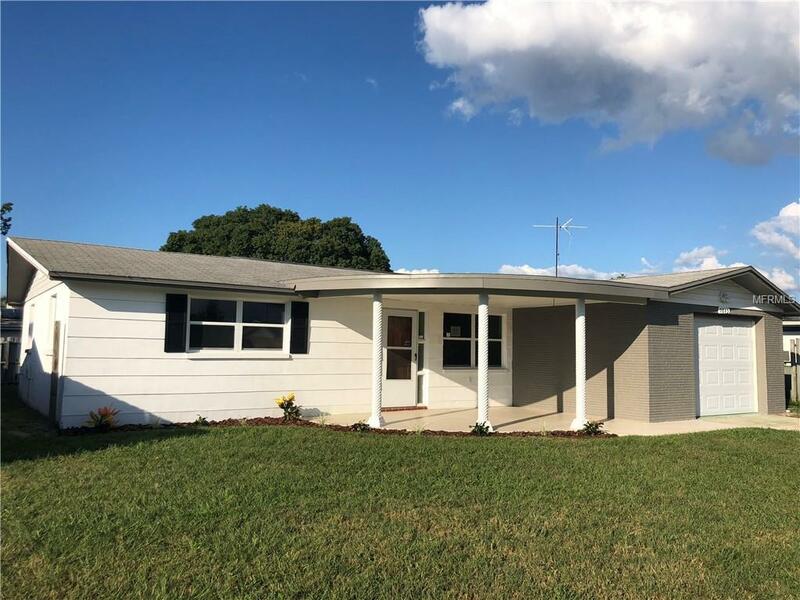 One car garage for storage, partially fenced back yard with slider in a quiet neighborhood just 25 minutes to top local beaches and 45 minutes to Tampa International Airport. This home is in a great convenient location to shopping, Trinity amenities, Route 54, the veteran's expressway and much more. This home does not currently require flood insurance, has no HOA fees and low taxes making it the perfect winter home, downsize or starter home. Truly one of the best move-in ready options on the market at this time. A must see!